As India continues to witness heated debates and dramatic developments on the controversial Islamic tradition of Triple Talaq, the Supreme Court on Thursday is set to begin its marathon hearing over the batch of pleas by Muslim women condemning the custom. 9 May 2017: The Allahabad High Court (HC) stated, "In name of personal law, basic human rights of women cannot be violated. A Muslim husband cannot give divorce in such a manner which would put a question mark on equal rights." The decision came after the HC's ruling in December where it cited the practice as unconstitutional. 9 May 2017: 25 leaders from Jamiat Ulma-i-Hind called on PM Modi expressing hope after his decision to tackle triple talaq. "His attitude on all issues was reasonable and satisfactory. We are leaving with lot of hopes," Maulana M. Madani said. 4 May 2017: The All India Muslim Personal Law Board (AIMPLB) submitted a one page pro forma to the law Commission opposing changes in Triple Talaq and stating satisfaction with the Islamic law. 1 May 2017: Bharatiya Janata Party (BJP) leader Subramanian Swamy rejected Triple Talaq citing that the practice is not present in the Quran and any Shariat can be modified. He emphasized on the Indian Constitution stating article 25 that binds religion to morality. 30 April 2017: Union Information and Broadcasting Minister M. Venkaiah Naidu supported the abolition of Triple Talaq saying that the custom hampered the right of equality and right of women to live with dignity. 29 April 2017: The PM appealed to the Muslim community to revolve issue of triple talaq and urged them to save Muslim women in the crucial matter. 24 April 2017: All India Muslim Women's Personal Law Board (AIMWPLB) president Shaishta Amber urged for implementing proper laws to combat the social evil. 21 April 2017: The Delhi HC dismissed Public Interest Litigation (PIL), which sought to look into the plight of Hindu women facing Triple Talaq after formerly being married to Muslim men. The HC stated that the matter is already being looked into in SC. 17 April 2017: AIMPLB issued a code of conduct laying ground rules, which can be the only basis of Triple Talaq. Breach of the code will call for social boycott. The AIMPLB maintained that the practice was in accordance to the Shariat laws. 16 April 2017: Prime Minister Narendra Modi emphasized on the need to eradicate triple talaq while addressing the National Commission for Backward Classes. "Our Muslim sisters deserve justice. We should try to solve this issue at the district level," the PM said. 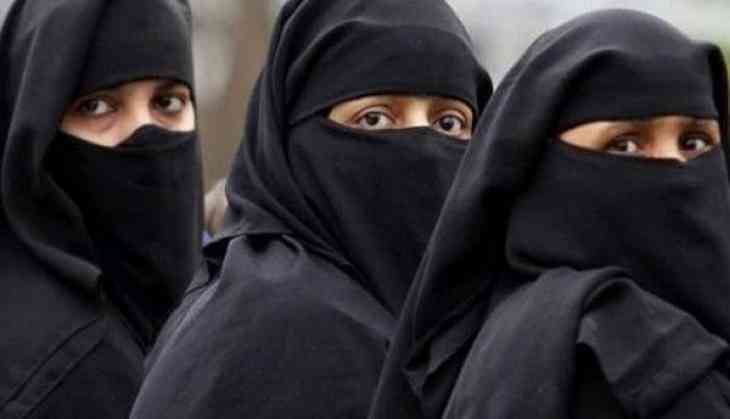 30 March 2017: SC decides to set up five-person constitution bench to hear validity of the Muslim tradition of Triple Talaq that permitted Muslim men to orally divorce their wives. The cases are to be heard starting from May 11th to May 19th and will determine the validity of the custom. Shayara Banu, the first petitioner to challenge the Muslim personal law sparked the fight amongst Muslim women against instantaneous triple talaq (talaq-e-bidat), polygamy and nikah-halala. The rights of her, and many others remain to be recognized as the SC prepares for the hearings.